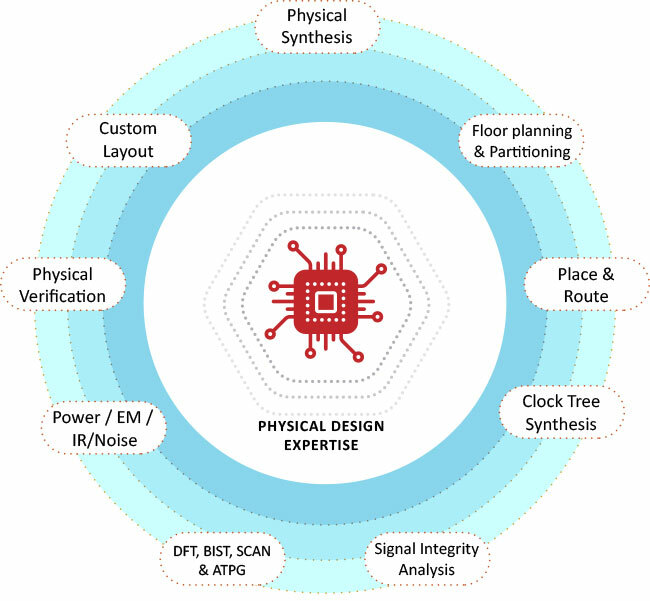 Our proven physical design flow, methodologies and rich experience enable us to deliver physical design implementation with superior performance. We have dedicated experts for each design stage, methodology & tools and have undertaken projects across Networking, Mass Storage and Mobile for Area, Power & Time optimization. Interface expertise includes MIPI, DDR, PCIe, SATA, USB, AMBA etc.